Our Micro Program is back for the Spring! Our 5 week program is the entry point to Northwest United and a premier soccer program!! Come and be part of our ever growing program, a chance for all players to learn all aspects of soccer in a FUN way! The Micro Program is 5 weeks long, running every Friday evening! Equipment Needed: Cleats are not necessary, although highly recommended. Shin guards are mandatory. If you need any equipment, there is a Soccer City store located in Burlington next to Costco, and a Big 5 located in Burlington next to Fred Meyer. How Does it Work? Players will be divided into their gender and age divisions accordingly. They will start off with learning a specific training objective and skill for the day's particular session. After the small group work, teams will move to small sided games (3v3, or 4v4). This type of set up allows our players to make new friends on their team, where they can experience every aspect of the game together. Through this, players learn the importance of being on a team, while also developing their personal skills. Anyone between the ages of 4 and 8 years old. a soccer ball in their life, all players are welcome! What is the Northwest United FC Micro Program? 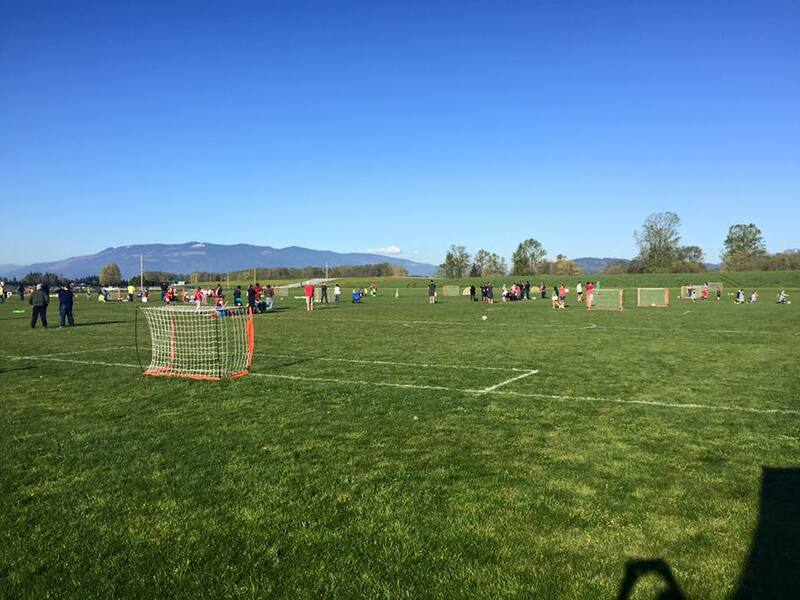 The Northwest United FC Micro Program is targeted for children who are Pre-Kindergarten (U5), Kindergarten (U6), and 1st-3rd grade (U7-U9) who are not already involved in Northwest United select teams. This is an introductory soccer program that promotes physical activity through the FUNdamentals of the game of soccer. Northwest United FC firmly believes in developing a solid foundation for young players to be the best they can be. The program is one of the building blocks for future participation in the Northwest United FC’s select and premier teams. This Micro Program promotes physical activity through the game of soccer. It introduces and reinforces the FUNdamental skills of the game, as well as age-appropriate locomotor movements (running, jumping, skipping, etc..) and non locomotor movements (balancing, bending, extending, swaying, twisting, etc..). The Micro Program’s professional coaches provide age appropriate activities based off of a curriculum that uses small sided games to develop the player’s enjoyment and love for the game and physical activity.